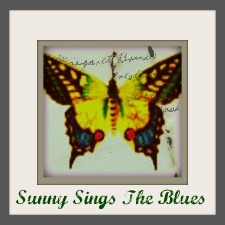 Our Spotlight blog today is really unique: Sunny Sings the Blues. In often heart-wrenching and truly candid form, Sunny relates, and moves on from life altering events:This blog was created as a way to help myself gain personal insight as I continue to move forward and come to terms with sudden life-altering loss, stemming from my traumatic experiences with the infidelity, betrayal, and death of my spouse. While I feel I have fared well overall, thanks in no small part to the love and support of quality friends and family, I have nonetheless, been affected and changed in ways I still have yet to comprehend. So who is Sunny? In her words:"Someone making a sorted effort to look for the bright side, find the humor, open new doors, and fulfill creative impulses as I try to make sense of life after sudden loss." I have just spent the last hour and half on Sunny's blog. I raced through the links to her back story like a fast-paced page-turner of a novel. Sunny's writing style is gripping, raw, honest, impeccable. She has an astonishing voice. And her story is so riveting, I just couldn't stop reading. And it doesn't stop at her back story. Every post is sharp-witted, clever, laced with grief, sorrow, purpose, progress, and hope. Well worth a read! Click on over and see for yourself, HERE.